If you have an aging parent who is requiring additional assistance, there are many hurdles to surpass, and problems to solve. If you are caring for your parents long distance, there are even more problems to navigate and solve. Being far away from your parents can make you, the caregiver, feel helpless and disconnected, but there are steps you can take to organize and plan for potential problems. You will feel more in control, and able to handle unexpected situations, if you have planned ahead and have a system ready. Of course, this is not always possible, but if you live far away from your parents, establishing a good system early is always the best plan. While your parent is in good health, physically and mentally, is the best time to draw up legal documents, find important papers, and get the house ready for the challenges of aging. If you start planning early for how you will help your parent from a distance, your stress will greatly decrease later. It is hard to imagine a time when your parent may be unable to articulate their wishes, or give the location of documents, but if you plan ahead you will handle these changes more easily. Even if you live far away from your parents, taking an early trip to assess their health and support system is a good idea. In this trip, you can take stock of your parent’s environment and plan for the future. Meeting your parent’s neighbors is a great start to creating a support system. Neighbors are usually only steps away, and can drop in for a quick check or hello. Establishing good relationships with your parent’s neighbors, and having their phone numbers on hand, will give you the peace of mind that help is close by. Neighbors may be the first to notice any unusual behavior, or a decrease in activity. If you are unable to reach your parent on the phone, a quick call to a neighbor can reassure you that your parent is doing yardwork or taking a walk. Most neighbors of an aging parent are more than happy to lend a helping hand or a watchful eye. Another good step to take in an initial visit is to make copies of any important documents you may need. These could include insurance cards, medical history, and the name and number of your parent’s doctor and pharmacy. Take note of any documents you might need once you are far away; having your own copy will alleviate the frustration of your parent not being able to find papers you know are in the house. If your parent is staying in their home, doing a safety check while you are in town is a great idea. Cleaning up clutter and unused items and donating them can be a helpful step while you are in town, and can help not only your parent, but your peace of mind. Even if you are far away, knowing that your parent’s home is clean and free of hazards can be comforting. As your parent ages, the risk of falling and injury increases, and making sure that their home is hazard free is important in preventing injury. Installing grab bars, removing tripping hazards, and clearing clutter are all good steps to take in your parent’s home. Hiring a snow removal or yard service company can also help keep the surrounding yard clear and free from ice or branches. Also known as a Medical Emergency Response System, a Personal Emergency Response System (PERS) allows for medical help at the touch of a button. If you are concerned about your parent’s stability, or there have been recent falls, a PERS can give you the assurance that your loved one will be able to reach help even if they can’t reach the phone. Usually you can be a point of contact on the PERS to know if your parent has pushed the button for assistance. Knowing that your loved one is always just a button touch away from help can be a great source of comfort for a long distance caregiver. If being far away from your aging parent has you questioning whether they are getting good, healthy meals, you could elect to have a meal delivery service set up. Services such as Meals on Wheels are designed to bring pre made meals to individuals that may have trouble leaving the home to shop, or difficulties preparing something healthy. If your parent still loves to cook, but shopping can be a strain, consider having a grocery delivery service set up to eliminate having to go to the grocery store. Another option is a service that delivers the ingredients for fresh, healthy meals right to your parent’s door and allows them to cook delicious meals without having to plan or shop. Any of these options can help you know that your parent is getting the nutrition and meals they need, even if you are not there to cook for them. If your parent is taking numerous medications, you may worry that they are either forgetting their daily medication, or mixing up their pills. There are services available that will package your daily medication and send it in the mail, allowing your parent to have their daily medications in easy to read, individual packages. Knowing that your parent’s medications are on track can give you peace of mind from a distance. If your loved one has multiple pharmacies, consolidating them into one, nearby location can also help to streamline medication routines. If your parent does not drive, or if you are anticipating that driving will not be possible in the future, a transportation service can be extremely helpful. From appointments to errands, senior transportation can help ensure that your parent remains active and able to get out to enjoy outings and fulfill obligations. While you may not be able to drive your parent yourself, setting up transportation will ensure they still get where they need to go. An often neglected part of caring for an aging parent revolves around legal issues and estate planning. Having your parent’s legal documents reviewed by a lawyer is extremely important, and having a law firm that specializes in senior law is a great step to ensuring your parent has all of the information and documents they need. 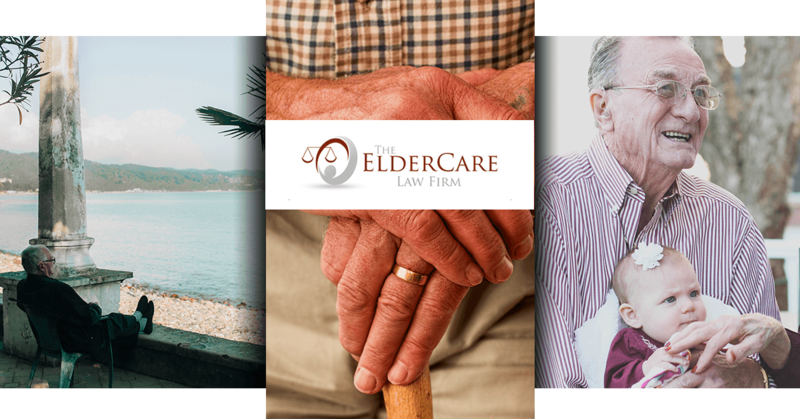 ElderCare Law Firm in Weber County is experienced in senior law, and can assist you and your parent with any legal or estate planning needs. ElderCare Law Firm is ready to help you plan for the future, and make sure that your trusts, wills, and power of attorney are in order. We can assess your health care and financial plans and make sure that everything is in order, and help long distance caregivers know that their parent’s legal needs are accounted for. Even if you are far away from an aging parent or loved one, there are still steps you can take to ensure that they are cared for. While we would all love to be close and able to help them ourselves, putting a system in place that will help your parent goes a long way to ensure that care is provided. ElderCare Law Firm would love to partner with you and your parent to do a thorough examination of any legal documents and talk over future estate planning. If you are in Weber or Davis County, ElderCare Law Firm would love to handle your estate planning needs-call us to set up an appointment today!